Though originally a winner for an Army contract, Sig officials report that every branch including the Coast Guard has placed orders for the modified P320 pistol platform. 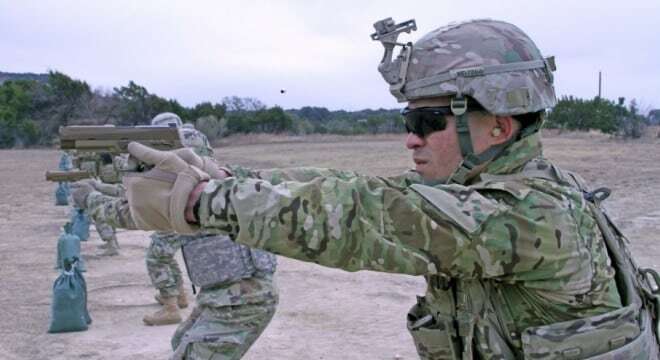 Sig’s M17/18 pistol, the winner of the Army’s Modular Handgun System contract last year, is set to be fielded by not only the land service but the Air Force, Marines and Navy as well as the Coast Guard, according to company representatives. “All services have been involved in MHS since its inception … and they have all committed to ordering guns,” Tom Taylor, chief marketing officer for Sig Sauer, told Military.com, explaining the other services will begin fielding the 9mm handguns later this year to early next year. The handguns will begin replacing a host of other platforms, including various marks of the M9 Beretta in the Army. As noted in the Navy’s FY 2019 procurement budget justification for the Marine Corps, 35,000 of the Sigs will not only replace M9s but also Colt M45A1 CQB .45ACP pistols and the newly acquired M007 Glock. In Coast Guard service, the gun will augment the Sig P229R which was adopted in 2005. The Air Force has been quietly acquiring the guns and testing their use for compatibility with aircraft ejection seats. 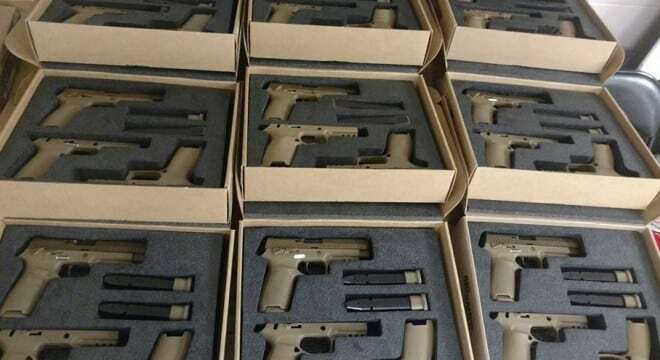 The first batches of the M17/18 were issued to troops of the Fort Campbell-based 101st Airborne Division last November as part of a 190,000-pistol initial buy. The platform will then be fielded to a new Army installation each month until September 2018, except for next March and April.